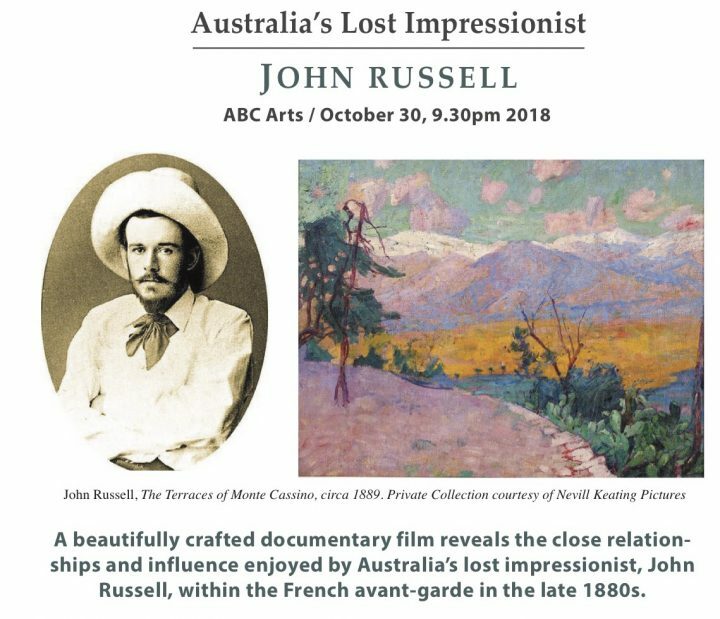 In conjunction with the current exhibition of John Peter Russell at the Art Gallery of New South Wales, a documentary about this fascinating artist will be screened on ABC television Tuesday 30th October at 9.30pm. Australia’s Lost Impressionist examines the relationships and influence of John Peter Russell within the French avant-garde in the late 1880s. Part of the French avant-garde of the late 19th and early 20th centuries, John Russell was a close friend of Vincent van Gogh and Auguste Rodin, taught impressionist colour theory to Henri Matisse and dined with Claude Monet. Yet history has largely forgotten Russell, who was a key member of this ground-breaking group of artists during one of the most exhilarating periods in art history. For further details about the AGNSW exhibition which is showing until 11 November please click here. For details about the documentary please click here and for a preview click here.